Stormin Dorman Productions: Labor Day is the Last Free Day! Labor Day is the Last Free Day! Ladies and gentlemen the time has come for the end of Calculator's free download period! Labor Day will be the last day you can download Calculator in the Market for free. Starting 9/7, I will push out the 1.0 release for Calculator after which the app will be available for $0.99. Thanks for everyone's support if you already downloaded my app (over 10,000 of you! ), I hope to continually improve it over the coming months with many new features and great support. Also, unfortunately due to Google's nasty store policy involving free/paid apps, even if you downloaded this free version you must buy the new paid version (I'm very sorry as this is not how I would do it at all- if this is frustrating to you let Google know!). For those of you wondering about the scientific functions--- don't worry they are coming! I am already working on them and will publish as soon as I can. Again, thanks for everyone's support. I hope to make this the best, most innovative calculator on Android! 1.0 - Initial Release. Enjoy! 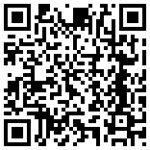 Point your Android's Barcode Scanner Here! 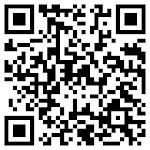 Hint: Use a barcode scanner app on your phone on this! 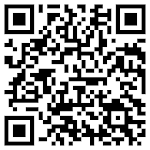 To get a free demo of Calculator, point your barcode scanner here! Like this? Follow me on Twitter!